According to the TRIP report, nearly half of major roads in Michigan are in poor or mediocre condition, more than one in 10 bridges are structurally deficient, and drivers lose up to 54 hours per year in traffic congestion. While increased transportation funding provided by Michigan's 2015 road funding package has allowed many projects to proceed throughout the state, additional investment is needed to complete numerous projects that would improve Michigan's road and bridge conditions, relieve traffic congestion, and enhance traffic safety and efficiency, according to a new report from TRIP, a national transportation research nonprofit based in Washington, DC. According to the TRIP report, "Modernizing Michigan's Transportation System: Progress & Challenges in Providing Safe, Efficient and Well-Maintained Roads, Highways & Bridges," nearly half of major roads in Michigan are in poor or mediocre condition, more than one in 10 bridges are structurally deficient, and drivers lose up to 54 hours per year in traffic congestion. 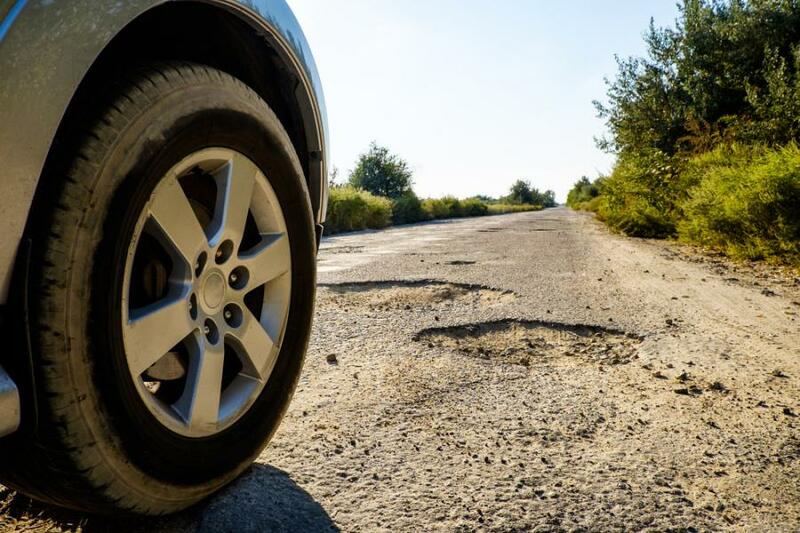 Driving on deficient roads costs Michigan motorists a total of $14.1 billion in the form of additional vehicle operating costs as a result of rough roads, congestion-related delays and traffic crashes. Passage of the 2015 road funding package will increase state funding for local roads and bridges, state roads and bridges, and transit from $2.2 billion in 2015 to nearly $3.7 billion in 2023. The additional transportation funding has allowed the state to move forward with numerous projects that otherwise may have remained unfunded, though many projects across the state will not move forward without additional transportation funding. The TRIP report includes a list of projects across the state that are either under way or will be under way or completed no later than 2023, and a list of projects that currently lack adequate funding to proceed. Statewide, 24 percent of major roads are in poor condition and 20 percent are in mediocre condition. Driving on rough roads costs Michigan motorists $4.6 billion annually in the form of accelerated vehicle depreciation, additional repair costs, and increased fuel consumption and tire wear. Statewide, 11 percent (1,175 of 11,180) of bridges are structurally deficient, meaning there is significant deterioration to the major components of the bridge. Forty-three percent of Michigan's bridges (4,815 of 11,180) were built in 1969 or earlier. Bridges 50 years or older often require significant rehabilitation or replacement. Michigan drivers are dealing with increasingly congested roadways, as population and vehicle-travel rates return to pre-recession levels. Drivers lose as many as 54 hours each year as a result of traffic congestion. Lost time and wasted fuel as a result of congestion cost Michigan drivers a total of $5.6 billion annually. Improving safety features on Michigan's roads and highways would likely result in a decrease in the number of traffic fatalities and serious crashes. A total of 4,905 people were killed in Michigan in traffic crashes from 2013 to 2017, an average of 981 fatalities per year. Traffic crashes in which roadway design was likely a contributing factor cost Michigan drivers $3.9 billion annually in the form of lost household and workplace productivity, insurance and other financial costs.